On the left is a 1979 Susan B. Anthony dollar, and on the right is one from 1999. Please pay attention to the small globe on the left of the obverse of the coins. 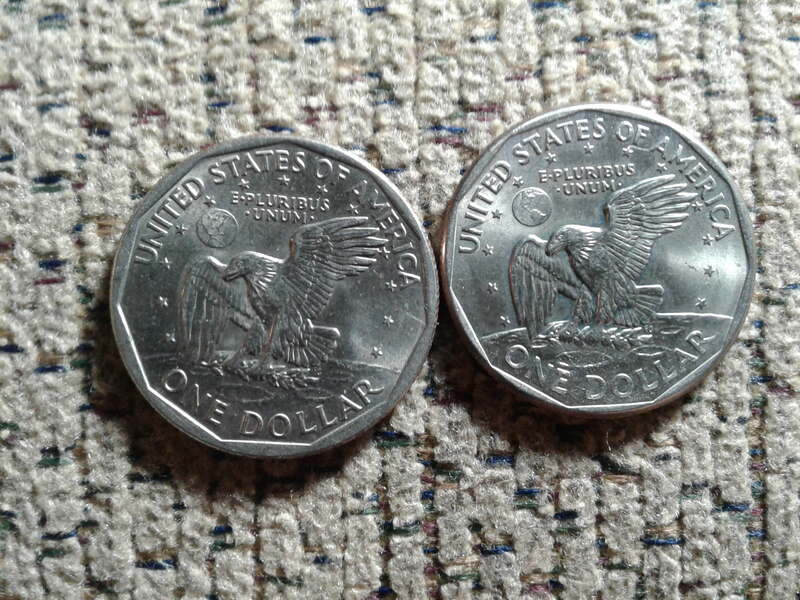 On the coin from 1979 South America is pictured just beneath the U.S. On the 1999 coin South America is noticeably further east.